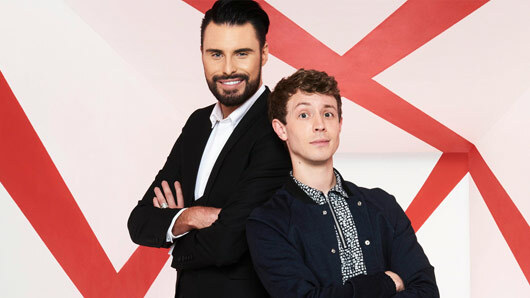 Presenter Rylan Clark-Neal has spoken out following the news that Xtra Factor will not be returning to ITV this year. The X Factor spin-off show has run since the singing competition first aired on television screens in 2004, but now it has been announced that the series will no longer be accompanying the main programme. The show has seen the likes of Ben Shephard, Holly Willoughby, Konnie Huq, Olly Murs and Caroline Flack host, with the latest series fronted by former X Factor contestant Rylan Clark-Neal and Matt Edmondson. Last night, Rylan took to Twitter to thank the show for the opportunity and to reflect on the experience. He wrote: “After an amazing series I just want to say what an honour it was to finally host The Xtra Factor alongside the lovely Matt and naughty scamp Roman. “It was always a one year gig (LOLS) and a full 360 for me and I’m grateful I had that opportunity. According to The Sun newspaper, the decision to cut the show was made so the team could focus more heavily on online content. A source explained: “It’s nothing to do with Rylan and Matt. They did a great job and if the show was continuing on TV they would definitely be returning. A spokesperson for ITV said: “The X Factor is our biggest ITV entertainment show in terms of online engagement.